1) Push passenger seat forward. 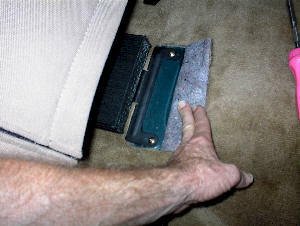 2) Pull edge of carpet back exposing two screws and remove. 1) Disconnect connector and "DIN" connector from front of amplifier. 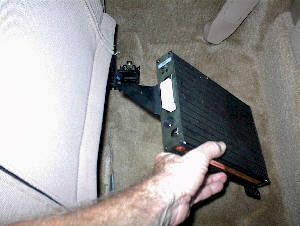 2) Pull amplifier toward rear seat releasing front lock.